Locke is the perfect example of how a film can do so much while doing so little. Writer and director Steven Knight shows in his one man, minimalist film that tension can be built purely by conversational dialogue and needs very little added noise to achieve a high level of suspense. 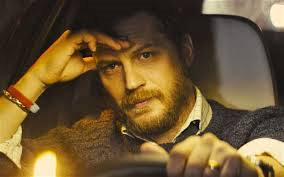 Tom Hardy gives an exceptional performance of a man who's eventful car trip contains several personal underlying themes and internal struggles which are familiar to many. Locke is an intriguing and mesmerising piece of raw, suspenseful and, unlike the lead character's situation, uncomplicated cinema. When Ivan Locke (Tom Hardy) leaves his construction site, he is aware that there is one part of his life that is definitely about to change. However, he does not realise how much this car trip will impact other areas of his life which were seemingly idyllic before he turned the key in the ignition. During his hour and a half travel time, Locke has to deal with a number of challenging situations simultaneously which do not give him the luxury of knowing what life is going to be like once he reaches his destination. Locke is incredibly intriguing for both its production and execution. It is primarily a one scene film, as the entire film takes place in Ivan Locke's BMW (aside from the opening moments of the film when Locke actually gets in his car) and the only character who is physically present in the film is Locke himself with all the other characters being just a voice on the phone. Locke is an ambitious piece of work because of these features, but Knight proves that he doesn't need more than what he has to create something clever, original and unpredictable. The film is incredibly tense and while there it does have subtle help from the musical score, it is all in the dialogue that makes it so. The screenplay is very well written in the way it intertwines three major storylines at once as well as incorporating the grudge Locke holds with his father which is continually at the back of his mind. Locke does not create suspense the way an action film would, but it does so in it's unpredictability. While Locke's situation is not one that everyone will encounter during their lives, there are underlying themes in his situation which are extremely relatable. The theme that resonates the most is the idea that one action which seems harmless at the time can set in place a chain reaction where it changes the course of your life. This is ultimately what happens to Locke in the film and it is something which often plays on people's minds. The notion of "What if?" is such a common question asked in life and in Locke one has to wonder what would happen had he made different choices in his time leading up to this car trip, just as they would ask the same thing of themselves. Another idea in the film which some will be able to relate to is how Locke is trying so hard no to be like his father, that he is ultimately becoming like him. In life, sometimes people are so terrified about becoming a certain way that you start to morph into what they feared. In Locke, he obviously still is bitter towards his father for neglecting his family and wants to prove that he will not do the same thing. Yet, in his moment of weakness, he makes a decision that brings him closer to the way his father was than he ever believed he could be. This is perhaps not as common a notion as the first theme explained here, but one which does haunt many people psychologically. The way in which Locke is filmed is wonderful. While the film has only one scene, the way this scene is filmed is varied so there is no reason for feeling like you are looking at the same shot over and over. 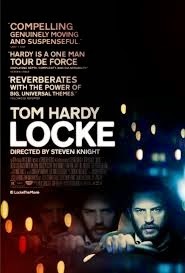 The camera allows the viewer to see what Locke is seeing from several different angles and also allows Locke to be seen from varied angles which in turn let's the filmmakers use different lighting on him. The film takes place entirely at night so it is quite a skill to use the lighting from other cars and streetlights as an opportunity for a different perspective on Locke. The rain outside the car also gives a beautiful touch to the film and adds a sense of dread to enhance the seriousness of Locke's situations. Tom Hardy gives a wonderfully controlled performance as Locke. His character is a particularly complex one who is not only facing the challenges of his situation, but also the challenge of trying to hold himself together during his time on the road. One may argue that they would like to see Hardy get angrier, but the reality of his situation is that he is on the road and he can't go crazy or he will never reach his destination. You can see within him that he is on the verge of going slightly crazy and even though does have a weak moment here and there, he is for the most part controlled. The side of his character that Hardy shows when he is talking to his father is also very interesting and makes the viewer uneasy. Even though Locke is a film which may feel like it is restricted in it's surroundings, it is a film that does so much with what it is given. A wonderful, suspenseful and original piece of cinema.